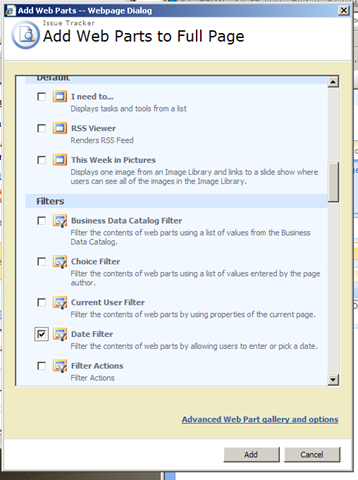 So, I was doing some playing around with mashups in SharePoint. 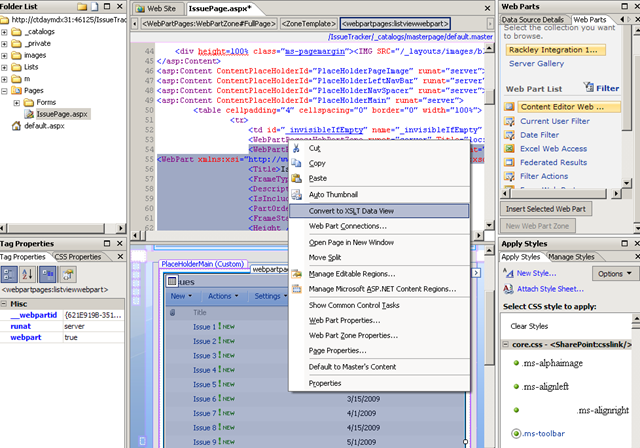 I was seeing what I could do to create pages a little more useful than you get using vanilla SharePoint without having to crack open Visual Studio. 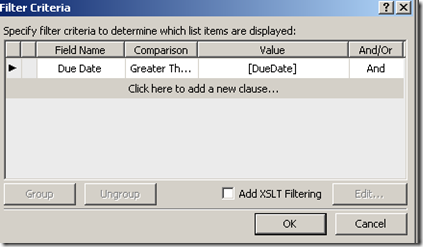 One of the things I wanted to do was display a SharePoint list on the screen and add a filter to the screen that would allow a user to filter the list with a date field value greater than or equal to whatever a user entered. Sound’s simple right? Should be easy? 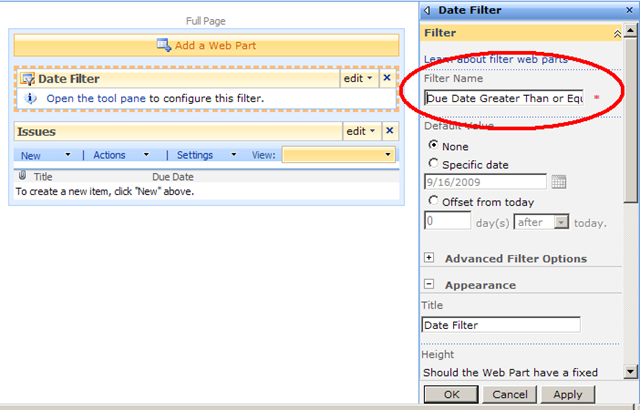 Well, I dropped my SharePoint list on a page, dropped a Date Filter on the page (this is an Enterprise feature by the way), connected the filter to the list and… I simply could not find a way to make the filter work as anything but a “Date equal to” filter. That’s not really very useful for most real world applications right? Well, I reached out to the queen of out-of-the-box web parts Laura Rogers (@WonderLaura) to ask her how to do this, and she had not yet tried. “Wow” I thought. “Here’s my chance to teach Laura something.” She also indicated that this is a fairly common question. 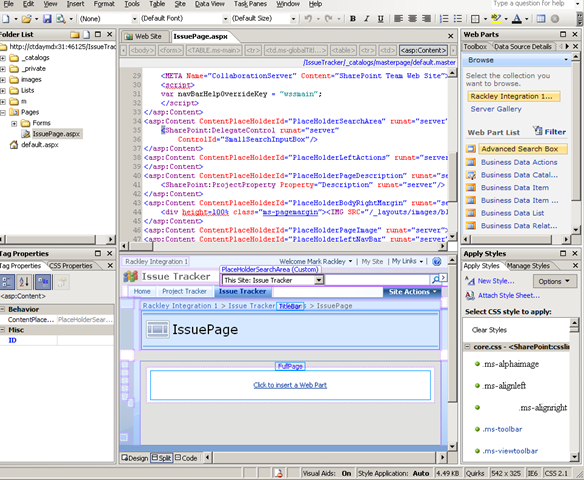 So, after playing around I was able to fairly easily come up with a functional solution using SharePoint Designer. 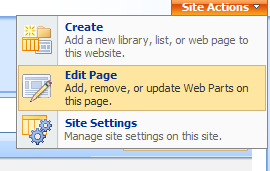 Now, before you jump on my case about using SharePoint Designer even though I’ve clearly stated you should not use it on your production servers, let me point out that by following the steps below you can export the web part created in SharePoint Designer and drop that web part on another page. 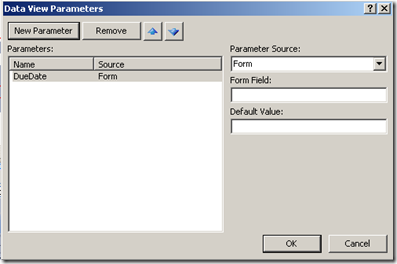 Thus, allowing you to develop in SharePoint Designer without breaking any of the development standards I have previously put in place. Okay, here’s the situation. I have an Issues list. 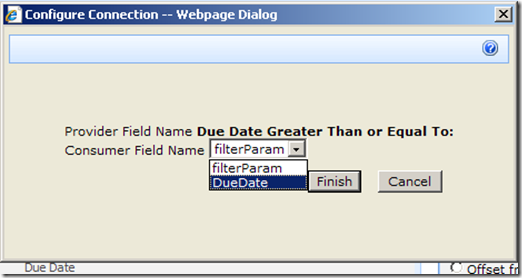 This list has a “Due Date” field which indicates when the issues have to be resolved by. 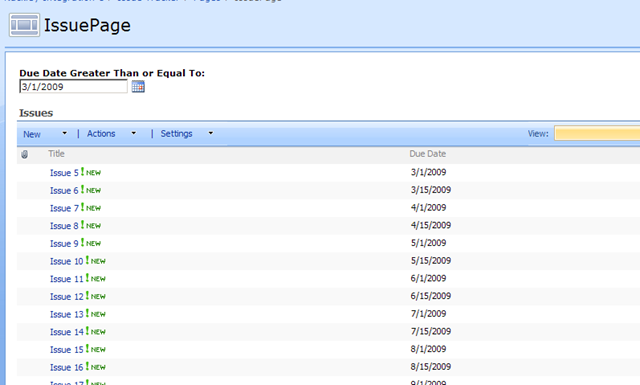 I want to view all of the issues that are due on or after date ‘x’. Make sense? The quick and dirty non-user friendly approach would be to create a view of the list and hard code the date range in there. That’s not really useful or powerful though is it? I want to allow other users to be able to dynamically filter on the list and show those dates. Yes, I could also sort by due date, but is that really feasible or user friendly when the list grows to have thousands of entries? So, let’s get started. Create a blank Web Part Page in SharePoint and open up that page in SharePoint Designer. Click on “Click to insert a Web Part” which will bring up the web part list in the right side panel if it is not already there. 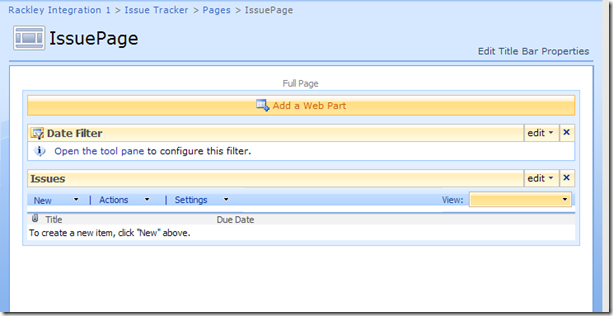 Find your list in question (Issues List in my case) and drag and drop it into the page. 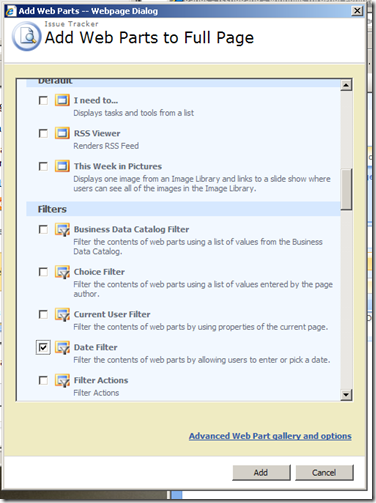 Visually you won’t see a huge change, but you now have access to the “Common Data View Tasks” menu which is what we need. 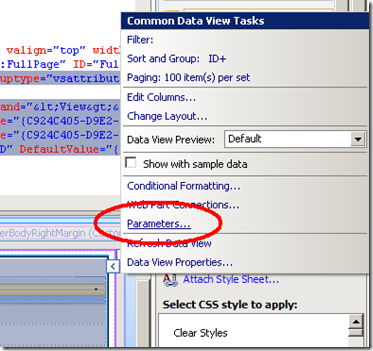 Next we want to create a new Parameter for the Web Part. 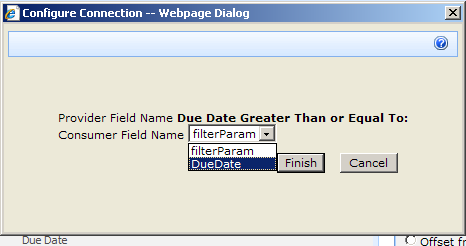 This parameter will eventually hold the value of our Date that we will use to filter the list on. 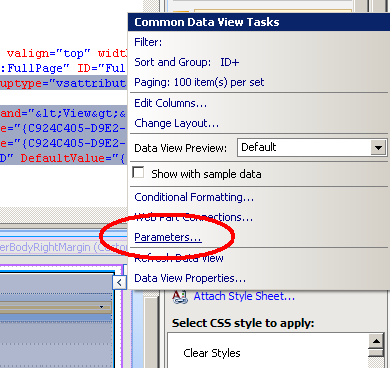 From the “Common Data View Tasks” menu, click on “Parameters”. Click “OK”. 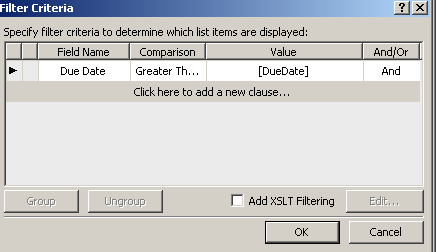 You now have a “DueDate” Parameter created. Click on “OK” and then save your page. 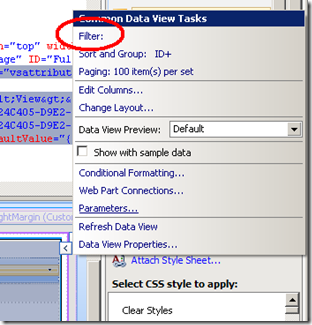 We are done with SharePoint Designer. 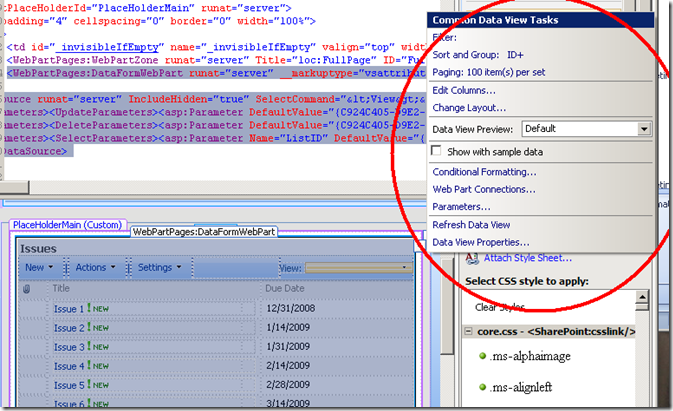 It’s time to open up your page in SharePoint. When you do, you will notice you see nothing but an empty list. 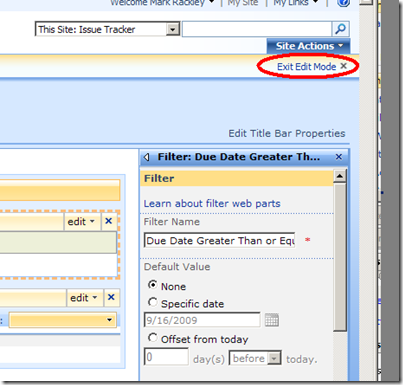 That’s because our filter is being used with our parameter and it does not have a value for “DueDate” yet. Don’t panic. 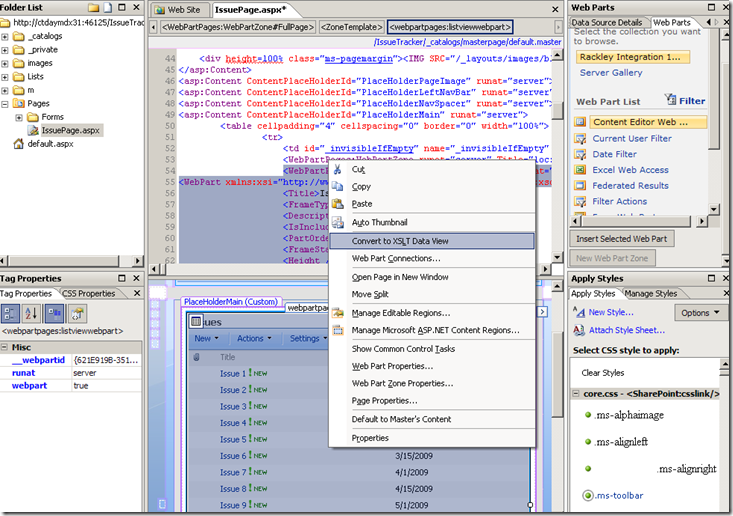 in edit mode, click on “Add a Web Part”. 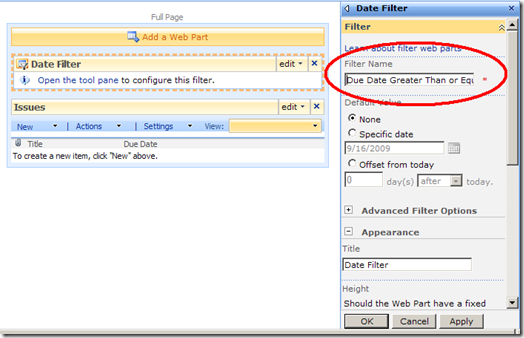 Select “Date Filter” from the Filters section and click on “Add”. Again, this is an Enterprise only feature. 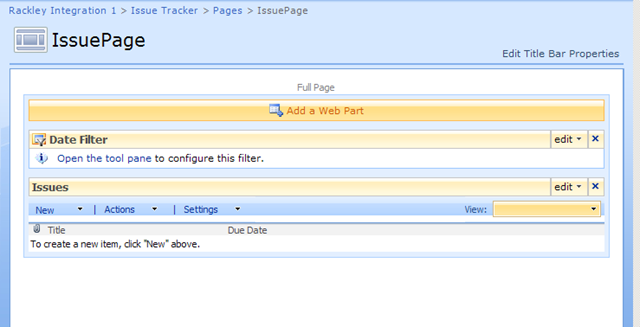 We are now ready to connect the Date Filter to the Issues Web Part so that everything works. That’s it! 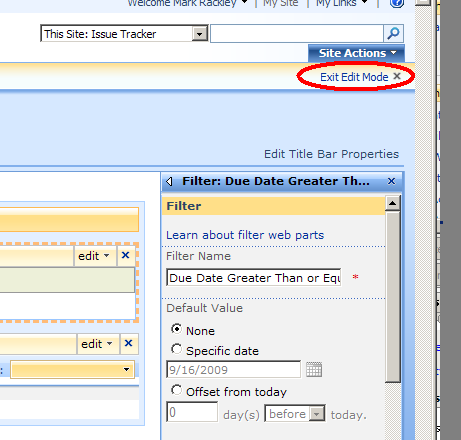 Now click on “Exit Edit Mode” and let’s see if it works! That’s all there is to it. Not too hairy I hope? 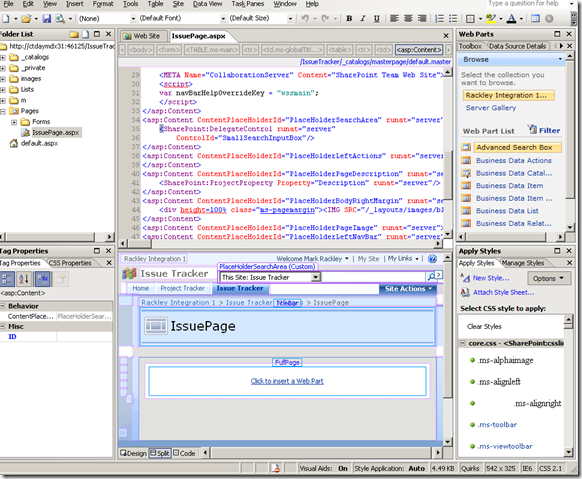 You can play with this in SPD or play with the XSLT directly and customize this even more, but that’s for another blog post. Hope you guys learned something! Thanks again for stopping by. 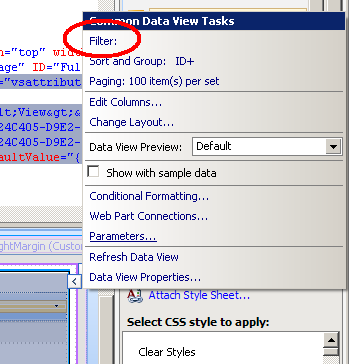 This works perfectly except after making the connection between the data view and the date filter, paging no longer works for the data view. Clicking the link to advance the page just changes the text from 1-100, to 101-200, but the exact same data is displayed. Any ideas? Excellent walk-through. How would the steps change for creating a date filter for a rolling range. For example, manager X wants to see all the reports updated for the last 7 days when he/she selects the view. That 7-day window will continue to roll forward and manager X wants to select the view on any day and view the reports within that 7-day window with out entering any data.